A food writer travels the Silk Road, immersing herself in a moveable feast of foods and cultures and discovering some surprising truths about commitment, independence, and love. Feasting her way through an Italian honeymoon, Jen Lin-Liu was struck by culinary echoes of the delicacies she ate and cooked back in China, where she’d lived for more than a decade. “Who really invented the noodle?” she wondered, like many before her. But also: How had food and culture moved along the Silk Road, the ancient trade route linking Asia to Europe and what could still be felt of those long-ago migrations? With her new husband’s blessing, she set out to discover the connections, both historical and personal, eating a path through western China and on into Central Asia, Iran, Turkey, and across the Mediterranean. The book was very repetitive and could have been much shorter. The experiences and interactions with the people she met were interesting but the self-reflections were a bit tiring. The experiences of the women in the countries along the road travelled were interesting. In some cases, the roles of women/cooking were very ‘traditional’ and restricted but sometimes it wasn’t so different from the Western experience. The book was too long and very flat. The book didn’t really have a plot and most readers didn’t finish it. One reader has travelled the Silk Road and expected the book to be more exotic. The book had too many angels and was a bit disjointed for another reader. 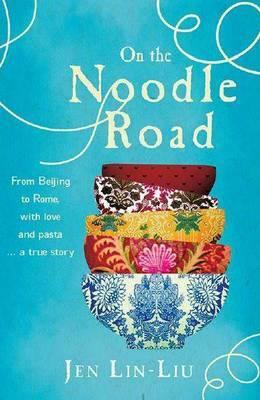 This entry was posted in Book Reviews, Non Fiction and tagged Book Group, book review, Jen Lin-Liu, On the Noodle Road, Parramatta City Library by admin. Bookmark the permalink.